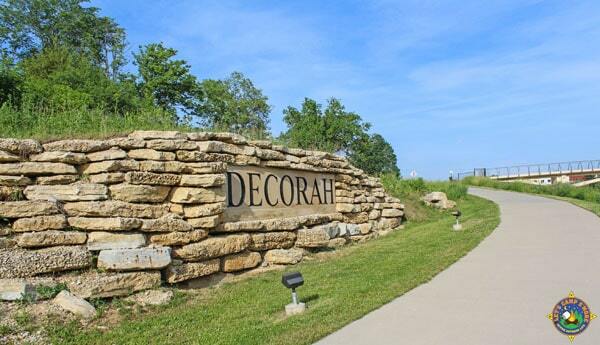 Looking for Decorah Camping? 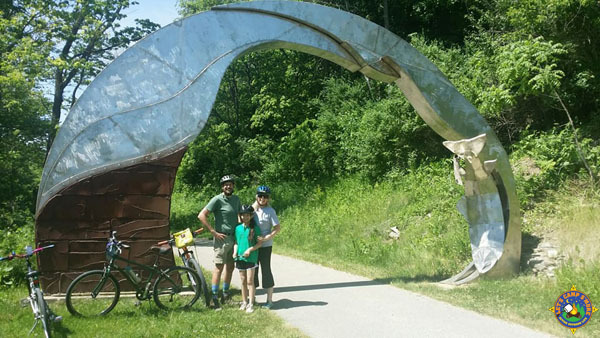 This charming bike-friendly Iowa town is the perfect family place to camp, shop, and explore. This is the time of year when we start thinking about summer vacation. Last year we weren’t sure where we would go but decided we wanted to camp somewhere with great biking nearby. 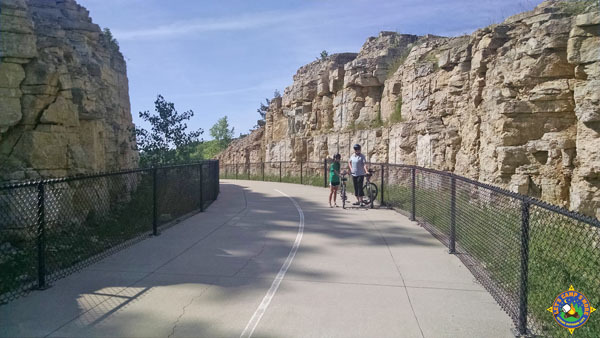 I googled midwest family biking trails, and one of the results was the Trout Run Trail in Decorah. 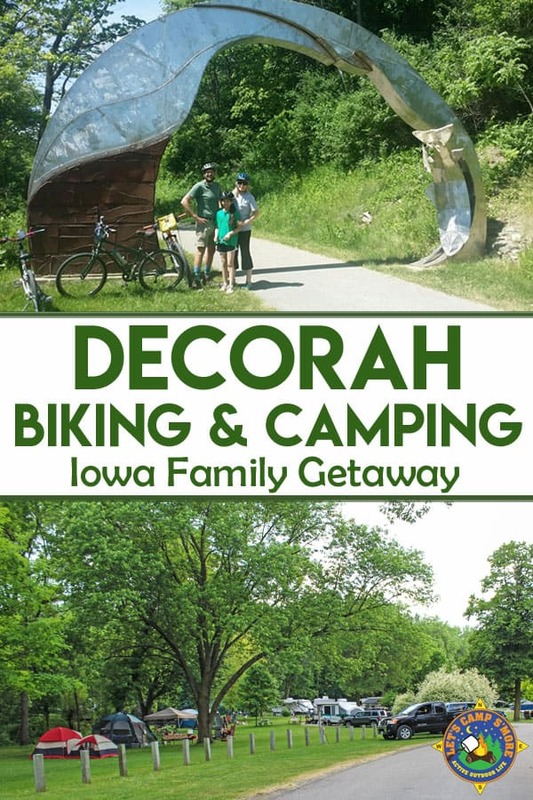 When we looked up Decorah camping we found that this 11-mile paved bicycle trail was accessible from a campground run by the city. It sounded like the perfect family destination for us. 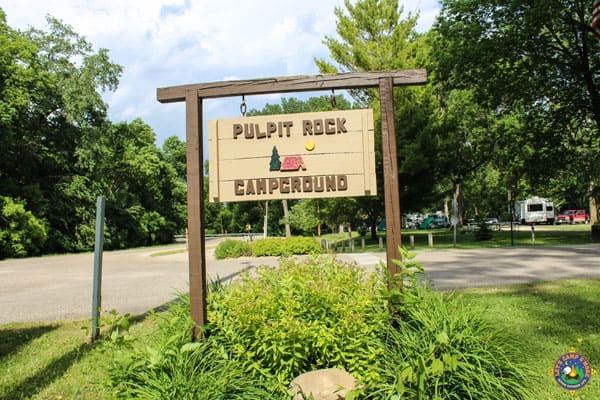 The Pulpit Rock Campground is run by Decorah Parks and Recreation. 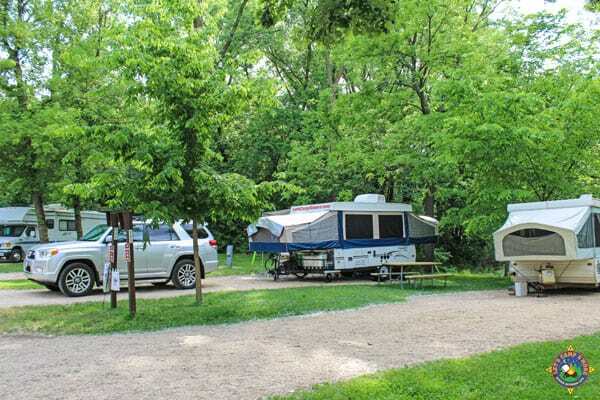 This picturesque campground is located along the Twin Springs Trout Spring, with several of the 115 sites creekside. A majority of the sites are first come, first serve, although you can call the day of arrival for a site to be held for you. The people at check-in were very helpful and friendly. Each trailer site has a gravel driveway that is mostly level. Most of the electrical sites are 30amp, although there are some 50amp. There is a firepit, power and picnic table on each site. Water sources are scattered throughout the campground. Our site backed up to the Deer Creek. The grounds are green and well manicured. Trees provide shade for sites mostly around the perimeter of loops. There are two bathhouses. They are older but clean. The showers had great pressure and were warm. The creek is so relaxing to sit by. 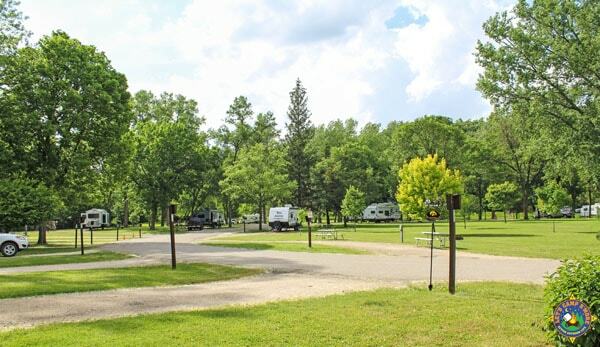 The only drawback to this campground is the nearby Hwy 52, which is frequented by trucks. Fortunately, the road is quiet overnight. You can find out more about the Pulpit Rock Campground here. It’s Decorah camping at it’s finest! 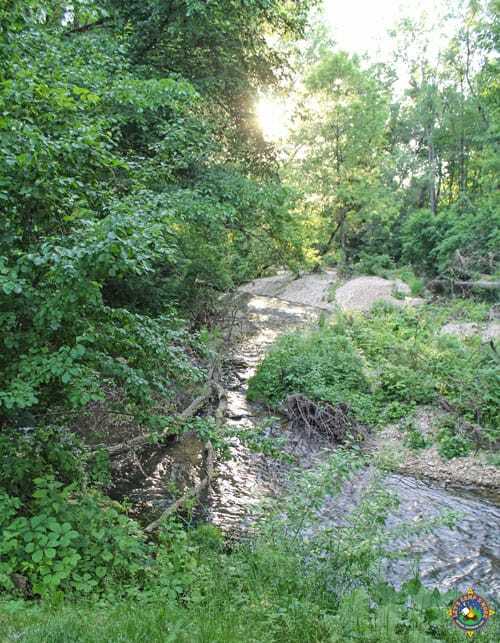 The campground has access to the Trout Run Trail, which can take you into downtown in minutes. The entire 11-mile trail runs through town and country. 4.5 miles of this bike path is strenuous. We started our ride by tackling this hard part. The gears were lowered and went very slow up the steep parts. We are glad we got the challenging part over with early. The rest of the trail is easy! 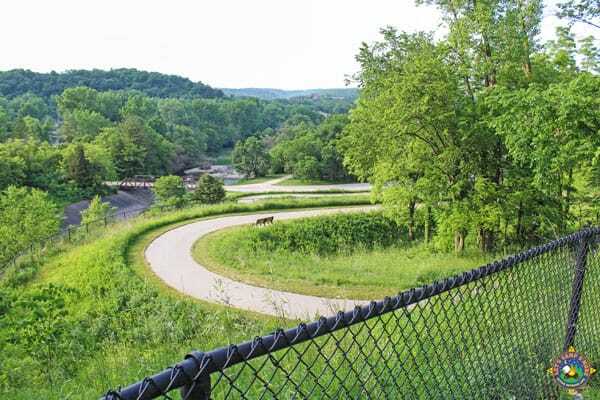 The bike path goes right past the Decorah Fish Hatchery, which raises Brook and Rainbow Trout. It is a lot of fun to see all the fish in the raceways. 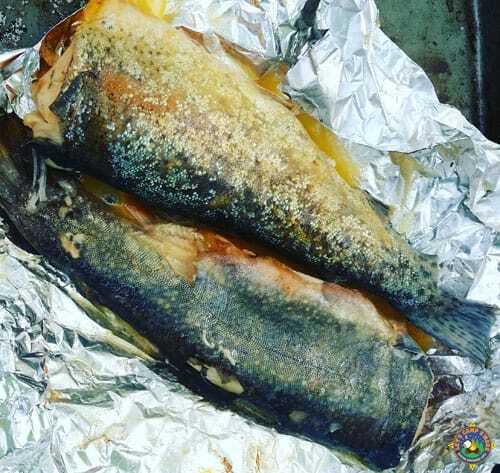 Fish food can be purchased with a quarter. Or in our case, 13 quarters. We would have spent more if we had more coins on hand. 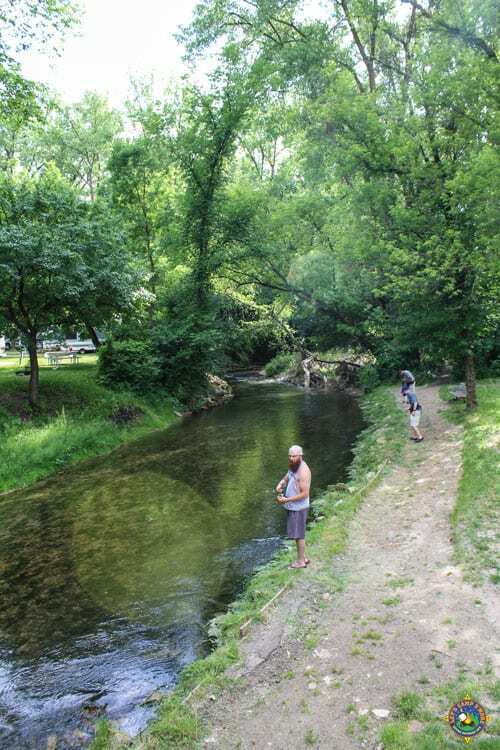 There is a trout fishing stream, Siewers Springs, and a butterfly garden nearby. The world famous Decorah Eagles Webcam is located by the hatchery. 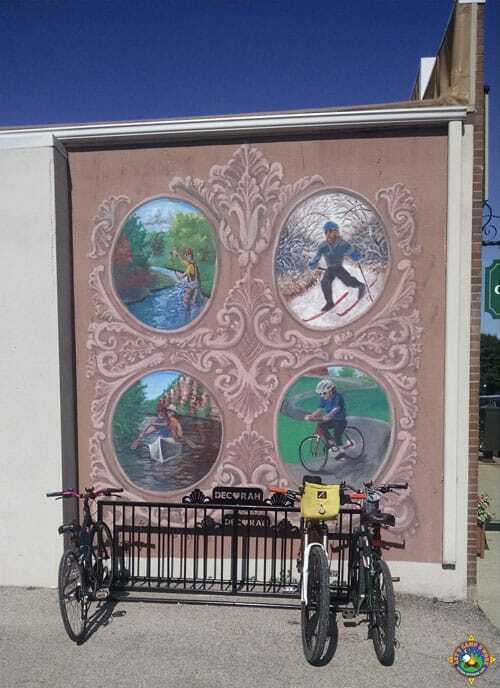 There is bicycle artwork along the trail and around town. We also visited Dunning Springs, the Ice Cave, the farmer’s market, and Decorah’s charming downtown area. There is also the Vesterheim Norweigan-American Museum with a great gift shop, a lot of great hiking, and canoeing or kayaking on the Upper Iowa River, which runs through town. 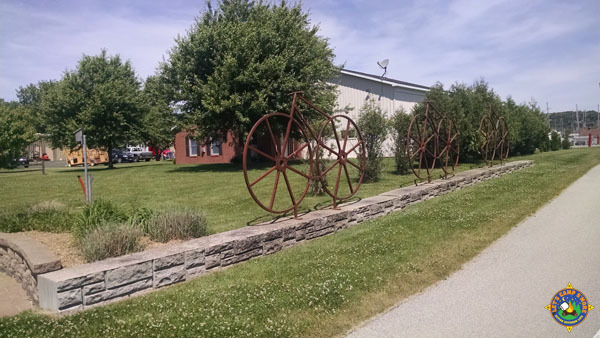 We visited the Laura Ingalls Wilder Park and Museum in Burr Oak, which is north of Decorah. 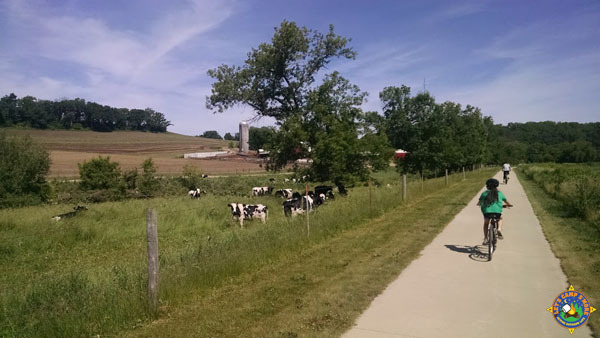 The Iowa Dairy Center which is located to the south in Calmar was our favorite attraction outside of Decorah. We highly recommend paying for a guided tour. Our family of 3 paid $13 and for our private tour, which was fascinating and allowed us to get hands-on with the cows. 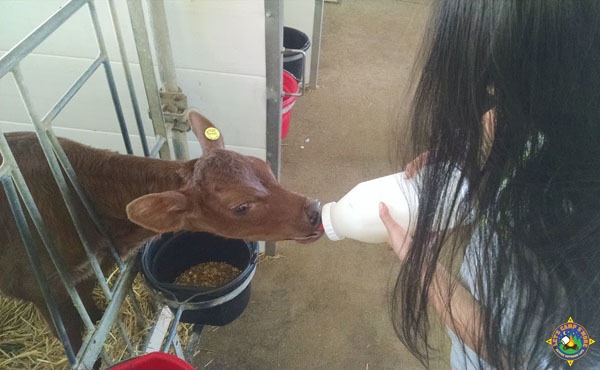 We got to bottle feed an 8-day old calf. Decorah is a cute town to visit with so much going on. 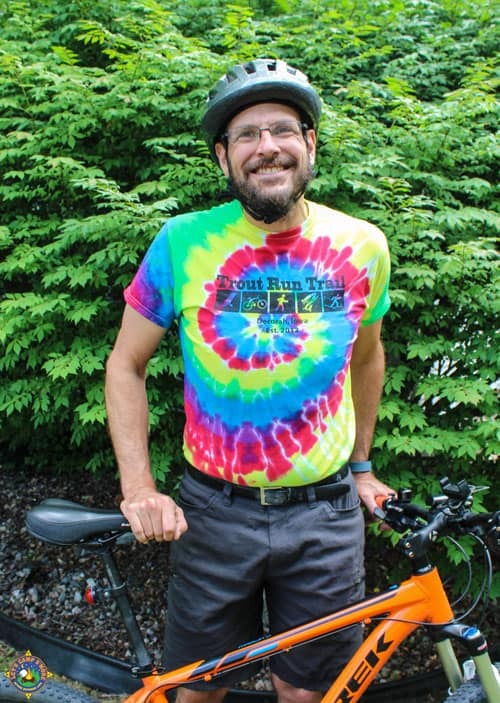 If you like to ride your bike, it’s a must visit! Find out more at Visit Decorah. Find more Midwest destinations on our Campgrounds & Travels page. We had to get Trout Run Trail shirts! This looks like a lot of fun! I haven’t camped out since I was a little kid! 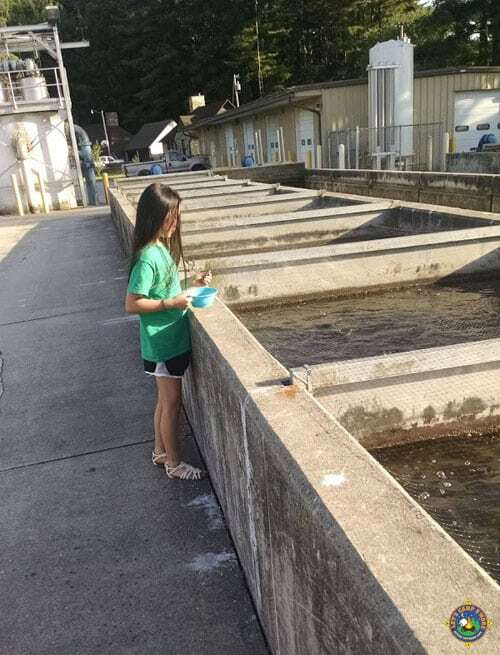 Decorah Fish Hatchery I would love to go and visit. I have been following for 8 years now the Decorah Eagles.